Deputy Chief Minister Manish Sisodia has written to Delhi Lieutenant Governor Anil Baijal seeking a CBI probe into the alleged DSSSB examination paper leak case and demanding strict action against officers involved in it. New Delhi: Deputy Chief Minister Manish Sisodia has written to Delhi Lieutenant Governor Anil Baijal seeking a CBI probe into the alleged DSSSB examination paper leak case and demanding strict action against officers involved in it. The Delhi Subordinate Services Selection Board (DSSSB) exam was recently held for the appointment of primary teachers in municipal schools. 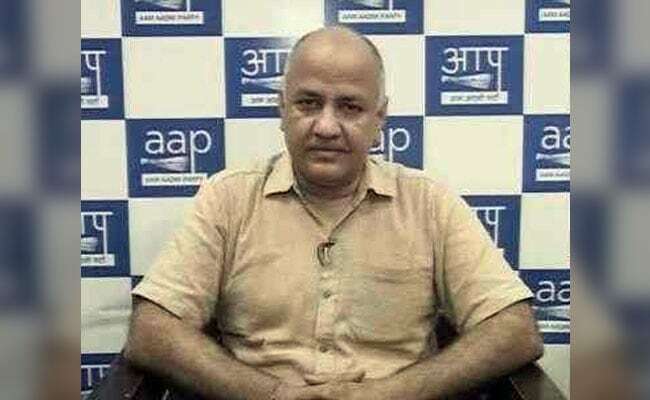 Manish Sisodia has also sought the cancellation of the exam for the paper that was allegedly leaked and demanded that the officers involved in conducting it be suspended so that they do not tamper with evidence. "Since the Anti-Corruption Branch (ACB) has taken no action in the past, this case should immediately be referred to the CBI for a fair and an unbiased investigation," he said in his letter, seeking re-examination. Referring to the incident, Manish Sisodia said that it was a serious case of corruption in the teacher recruitment process and there have been numerous complaints of exam papers being leaked. There have also been complaints of papers being set from a particular guidebook and servers being down at the time when documents have to be uploaded, he said. He added that all these issues have already been referred to the Lieutenant Governor Anil Baijal. There have been instances of students being barred from the exams, but no action has been taken against any senior officer in the DSSSB despite multiple such instances, Sisodia said in the letter. "Strong action needs to be taken in this case, so as to give a clear message that the Lieutenant Governor Anil Baijal's office is not protecting the corrupt within the DSSSB," he said. The examination conducted by the DSSSB for the posts of primary school teachers in MCD schools was held on October 29.